Eventually anyone training in Wing Chun Kung Fu will want to see if all of their training and time spent with their Wing Chun wooden dummy translate well into real world scenarios. One way to do that and to also evaluate your current training routine is to spar. It’s very important to train safely though and part of that is to use Kung Fu sparring gear. What Kung Fu Sparring Gear is Necessary? If you are new to sparring then it’s definitely a good idea to use some protective gear. Some advanced practitioners are able to spar hard with control, but it’s not easy to do for beginners. The main reason that you’ll want to use some protective sparring equipment is to prevent injuries. A sparring injury both hurts, which isn’t fun, and it also sets back your training. The absolutely most important piece of sparring gear that’s required is headgear. The prevalence of new information over the last year about how easy it is to sustain a head injury and how they can affect us in many negative ways making protecting your noggin essential. The next piece of protective gear you’ll want to invest is in hand protection. 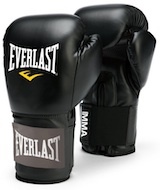 You want to opt for the type of sparring glove that best suits your sparring style as some gloves will make it impossible to actually grip your training partner. 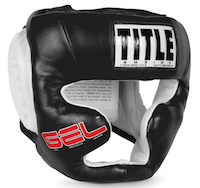 Many people mistakenly think that padded gloves are for protecting your sparring partners head, and they feel that they therefore don’t need to use headgear while using gloves or hand pads. The fact is sparring gloves are mainly used to protect your hands and offer very little protection for your opponents’ head. Another type of padding that you may want to use, especially if you plan of using a lot to kicks in your sparring, are foot pads. Like gloves or mitts, the pads and mostly meant to protect your feet and not your sparring partner’s body, so it’s important that you are both adequately protected. The above three pieces of full contact gear are the basics and should be enough for most people. If you are going to really go hard with high level Wing Chun practitioners, you might want to add some other extra pads. A chest protector, much like something a baseball catcher would wear, but much less restrictive, is something that might benefit you if your partner has extremely powerful kicks. They are a bit cumbersome, but as I said before, getting hurt sparring has no benefit whatsoever, so better safe than sorry. The last piece if sparring equipment is for men, and it’s probably the most important piece. It’s at least the second most important. You will want to wear a groin cup. It doesn’t really need much of an explanation. 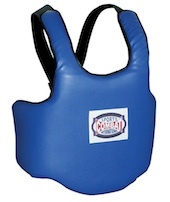 It’s so important that it’s one of the only pieces of required gear for professional full contact MMA fighters. That in itself speaks volumes. Whether you go for the bare minimum protection or you go all out, safety while sparring is extremely important. Kung Fu sparring gear is an absolute must have. Train hard but stay safe.